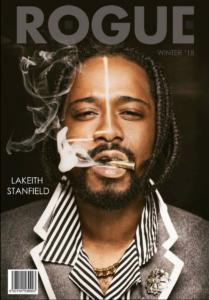 So excited to announce my new cover feature on the inimitable Lakeith Stanfield for Rogue’s Winter Issue N°10. The mag is now available for worldwide pre-order HERE. Photography by Mike Ruiz. Rogue Magazine Issue No. 10. 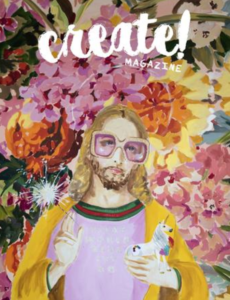 Issue #10 includes more than 30 artist features and 180 glossy pages, including Noah Centineo, Olga Kurylenko, Keir Gilchrist, Chloe Bennett, Dylan Jagger Lee, Cody Simpson, Mondo Cozmo, Halston Sage, Lucy Boynton, Vanessa Morgan, Jack Dylan Grazer, JJ Abrams, Alexandra Daddario, Taissa Farmiga, Troye Sivan, Alice Eve, Giancarlo Esposito, Reeve Carney, Tati Gabrielle, The Wombats, The Vamps, Virginia Madsen, Joey Graceffa, Rose Byrne, Paul Wesley, Kaitlyn Dever, The Struts, Teddy, Kim Petras, Callum Turner + so much more! Help keep print alive! Get your special edition discounted copy now before it hits stands! 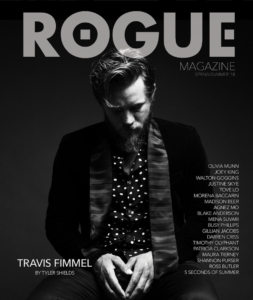 Grab a digital copy of Rogue Mag’s Spring/Summer 2018 issue to read about my conversation with Vikings star Travis Fimmel. Find out what Travis is up to now after his legendary five-season run on the History Channel’s hour-long drama. This issue also includes over 200+ high-gloss pages, dual covers and 40+ exclusive artist features. 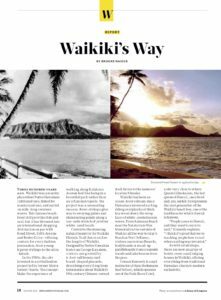 Here & Beyond recently published an article I wrote on Waikiki — then and now. I hope to publish more articles about authentic Hawaii to make a dent in the overwhelming amount of cultural whitewashing that represents the vast majority of media on my state. The year-long photojournalism project I started for the Sun Journal and worked on from November 2016 through October 2017 won Project of the Year in Maine. And here’s the article that kicked it all off! A book version of the series will be published this summer. 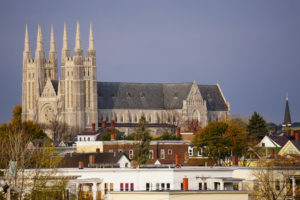 The Basilica of Saints Peter & Paul in Lewiston, Maine. Brooke Nasser 2017. The Instant Circus tracks 24 hours in the life of a disaffected 20-something nine-to-fiver, typical in her contemporary ennui and narcissistic self-loathing. Leaving work one day she is entranced by and trails a 13-year-old nymphette into the Red Light district. Over the course of the neon-lit night she creates and embodies a new identity, meets vultures and lost souls, and becomes a prostitute. Now available through Amazon Kindle HERE. Issue No. 1 of Create! Magazine is now available to buy. It’s a visual feast and features work by 20 different artists from all over the world in every media and format. Ink Sweat & Tears published one of my new poems. 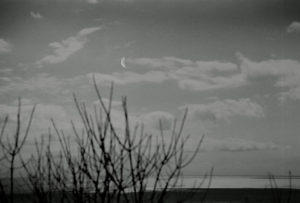 UK-based IS&T was founded by Salt author Charles Christian in 2007 as a platform for new poetry and short prose, and experimental work in digital media. In 2010, editor, poet and artist Helen Ivory came on board as Deputy Editor. The webzine publishes and reviews poetry, prose, prose-poetry, word & image pieces and everything in between. 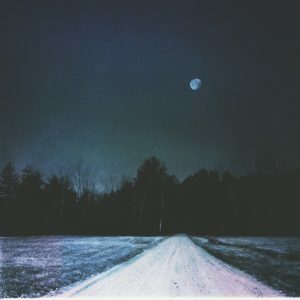 I submitted several pieces from my Moon Series to Create! Magazine’s inaugural issue and they were accepted! Create! Magazine is an independent, artist-run publication highlighting the work of artists, makers, and creative entrepreneurs. Their issues are released in a digital and limited edition print format. It was founded by artist Ekaterina Popova, also the founder of FreshPaintMagazine. My feature in Rogue Issue No. 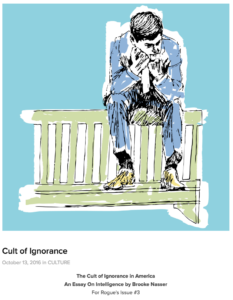 3 on the subject of intelligence in America is now available to read online HERE. So excited to announce the latest issue of Rogue Magazine featuring a sumptuous display of film, art, music and culture with articles on Kelly Osborne, Bill Hader, Jared Padelecki, Kaleo, X Ambassadors + many more! PLUS…. 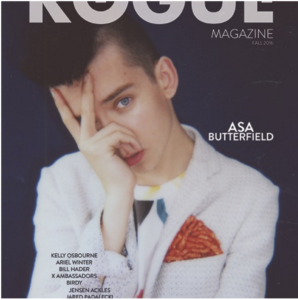 My cover feature on the incredible young talent, Asa Butterfield and my interview with singer-songwriter phenom, Birdy. Order a print copy on the Rogue Mag website today or grab a digital copy next week! These issues are so exceptionally well done, they’re design pieces.